During the hot weather, it’s nice to have a bit of shade, a cold lemonade and some free time to relax. It’s also nice to have clean streets and frequent rubbish collections – to avoid smelly, rotting rubbish from accumulating on our pavements. But unfortunately, Haringey Council have let residents down again. 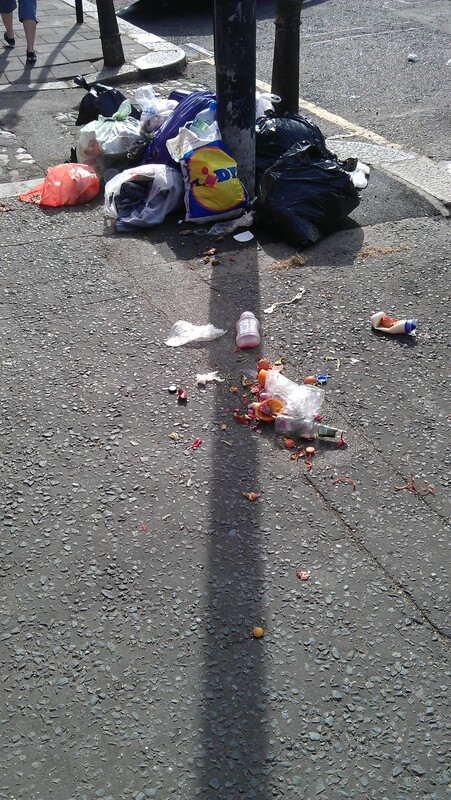 Take a look at the mess on Hornsey High Street and Lymington Avenue. Even worse – take a look at this tweet from a local resident – who has had to deal with maggots due to Haringey Council’s incompetence. This is just awful. What on earth do we pay our Council Tax money for? 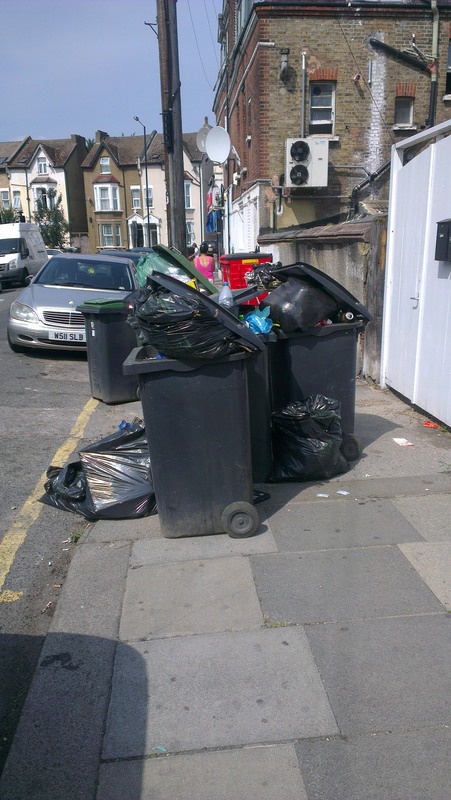 Poor services and smelly, rotting rubbish on our streets? For public health hazards not to be removed? And what kind of image does this give to people visiting our borough? I think it’s about time Labour-run Haringey got a grip on this. During this weather – they more than ever need to ensure that collections are made regularly. My team will report any uncollected rubbish to the Council on the day you report it to us – so please do let us know of other instances of smelly, rotting rubbish in your area. I am determined to keep the streets of Hornsey and Wood Green clean and safe – even though the Labour Council clearly aren’t bothered. I disagree with your synopsis. We are in a time of austerity and I am aware that discussions between the council and its contractor (Veolia) have taken place to descope some of the contract in return for a lower price. I cannot understand why politicians always point the finger at “the council”. Surely the blame, 100% and absolute for dirty streets is down to residents, visitors and business owners. These people have all adopted the thought “its the council’s problem” and just drop their rubbish anywhere. I’m sure all council’s are doing what they can considering the savings they have to make – isn’t it time that politicians started pushing back at residents and business owners to actively do something to keep their little part of the borough clean? or perhaps that would lose votes! Its about time that people who live in the borough get off their backsides and sweep their own section of footpath, deposit their litter in a bin, take some of their rubbish to one of the two tips perhaps – do something pro-active and not always moan that its the council’s fault!! !